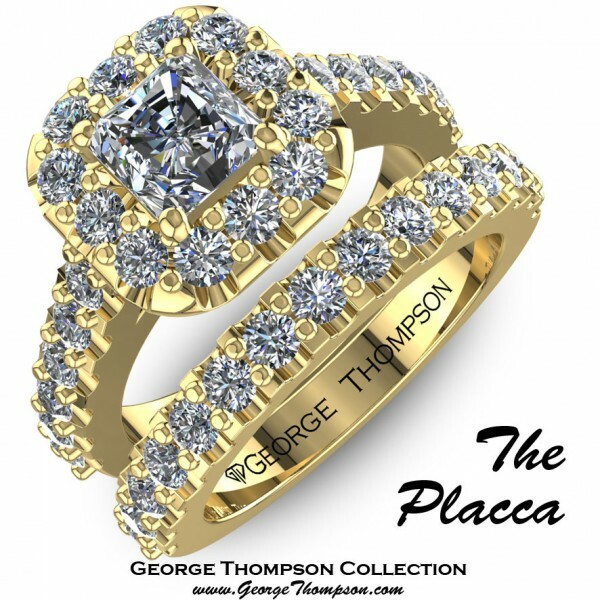 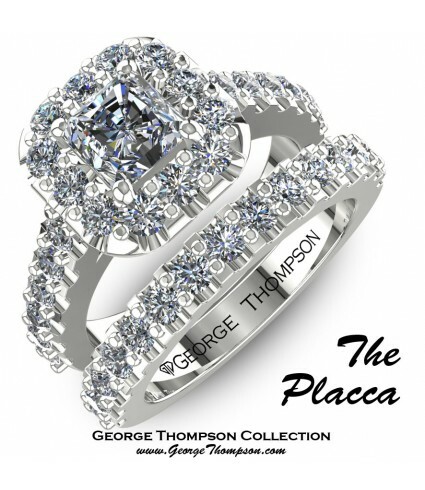 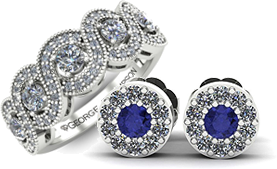 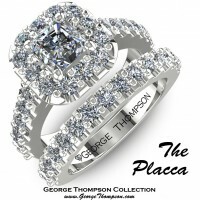 The Placca White Gold and Diamond Wedding Set. 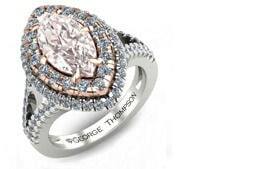 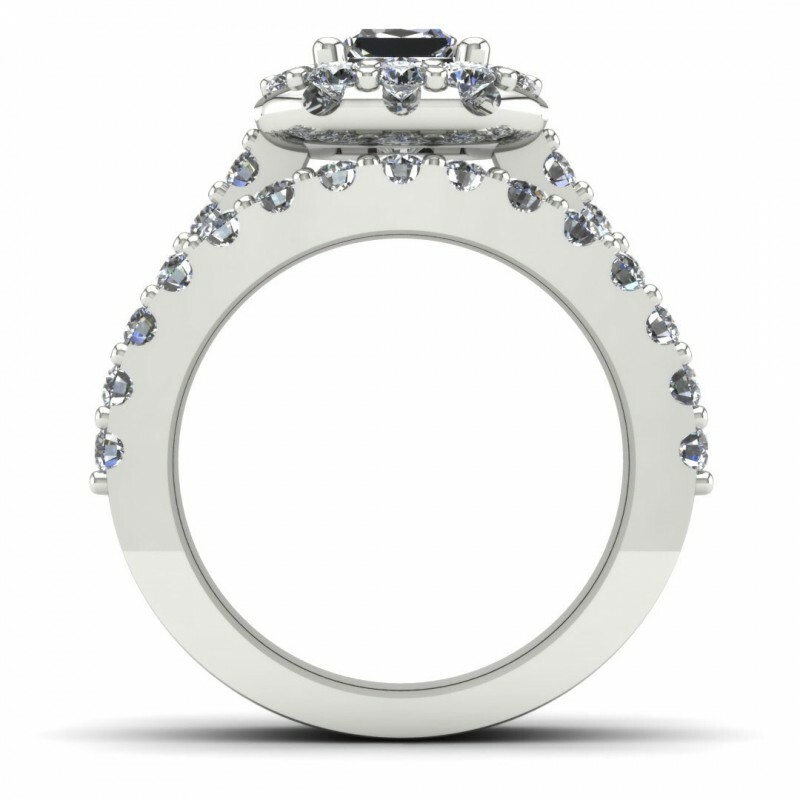 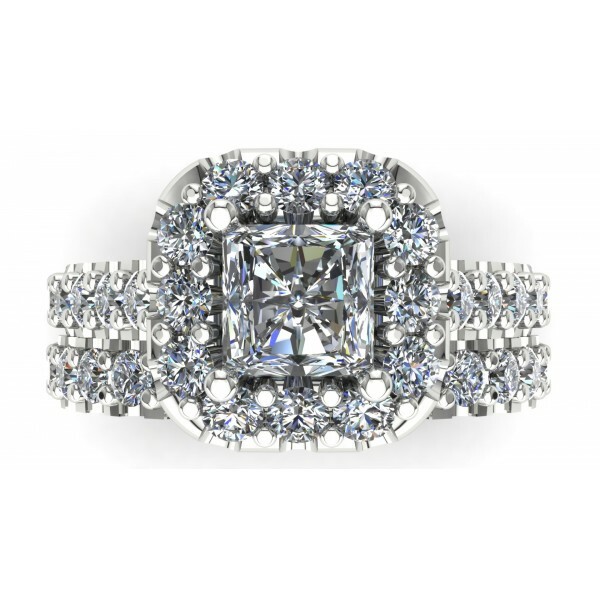 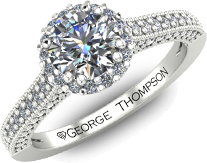 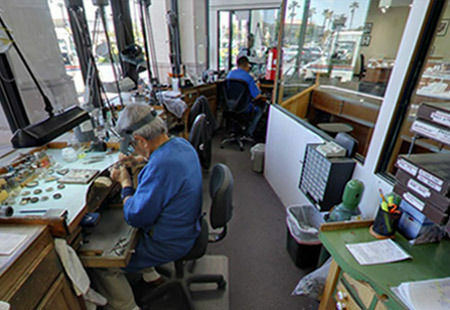 With a center Radiant Cut Diamond approximately 1.00cts. 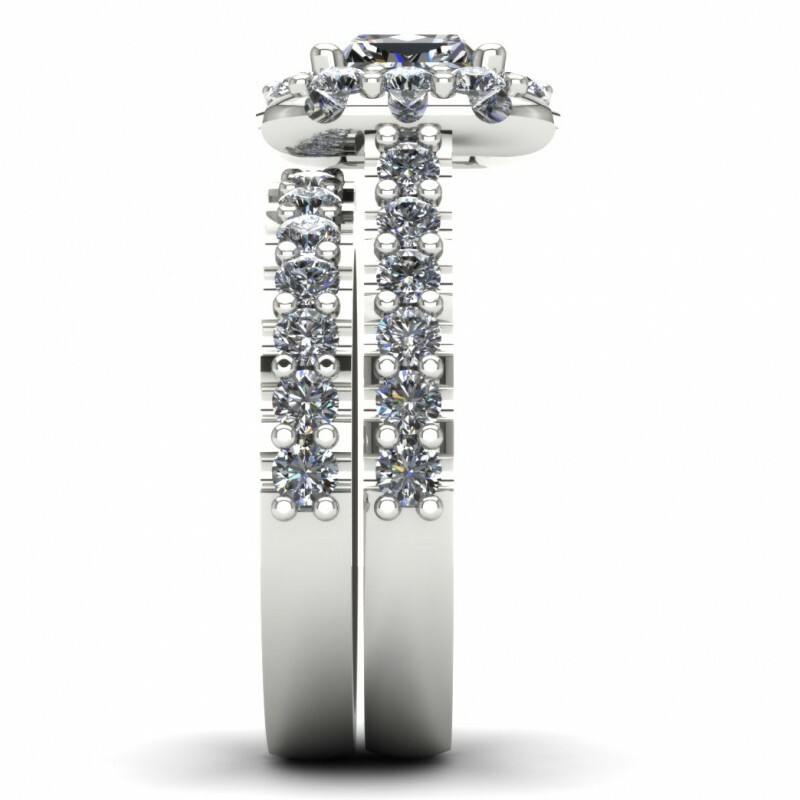 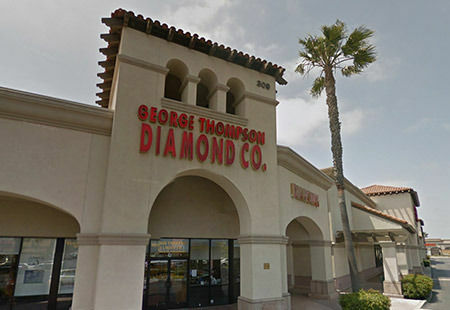 and 39 Round Brilliant accent diamonds of approximately 1.35cts.. 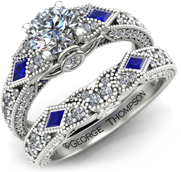 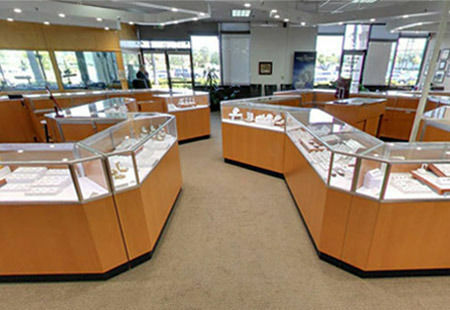 Wedding set has a total diamond weight of approximately 2.40cts.